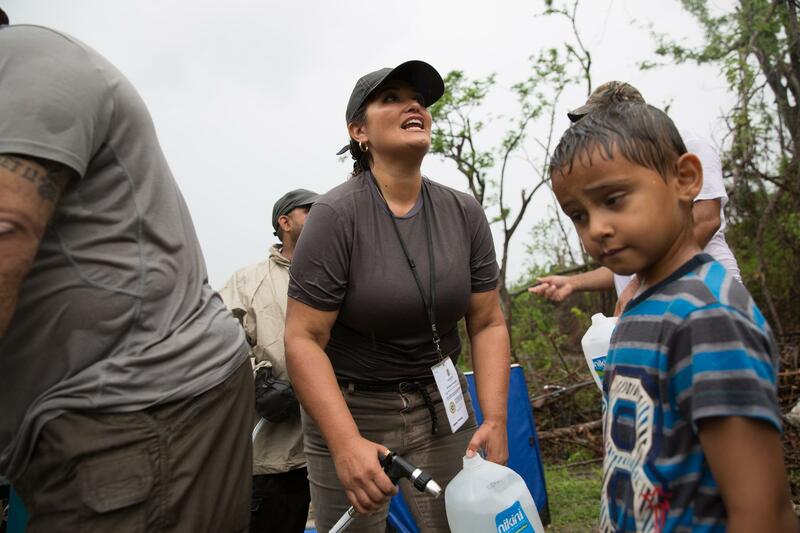 Veronica Montalvo fills up a water jug for a boy in Salinas, Puerto Rico. Damaged houses in Salinas, Puerto Rico. A large pile of brush and debris by the river. Residents of Salinas wait for the water to be filtered and purified. 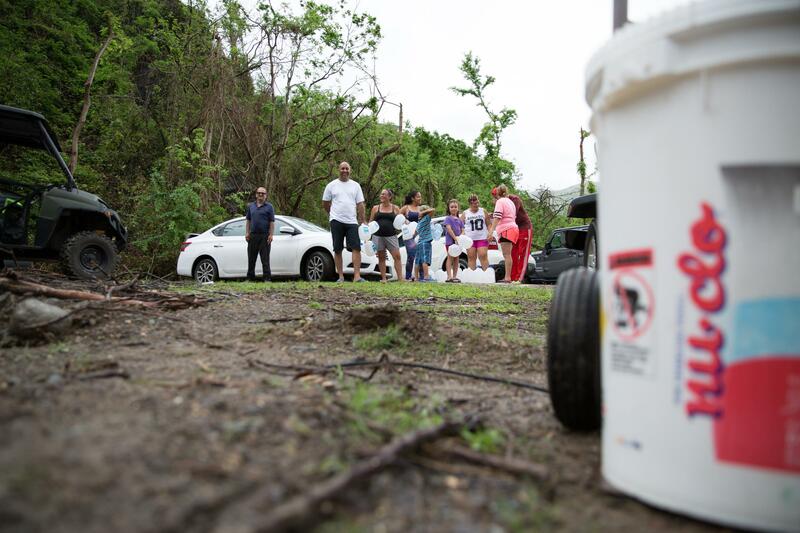 They lined up in the rain with water jugs and buckets as the news of clean water spreads throughout the town by word of mouth. Ray Guasp served in the Marines. 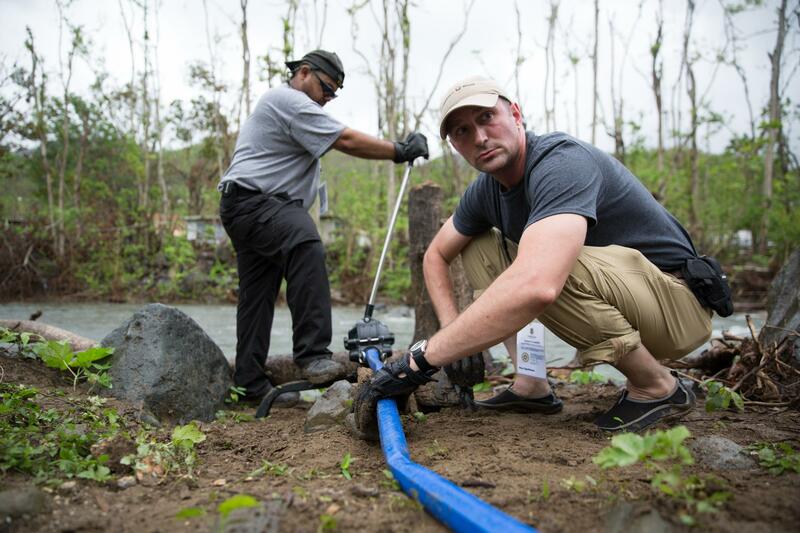 Now, in Puerto Rico, he's part of a small group of self-deployed volunteers from Connecticut. Ron Spellman of Canton, Connecticut -- who's served in the U.S. Coast Guard and now is in the Air Force Reserves, sets up a hose to pump water from the river to the purifying tank. U.S. Army veteran Pablo Soto works the pump in the background. Veronica Montalvo was born in Connecticut and moved to San Juan earlier this year. 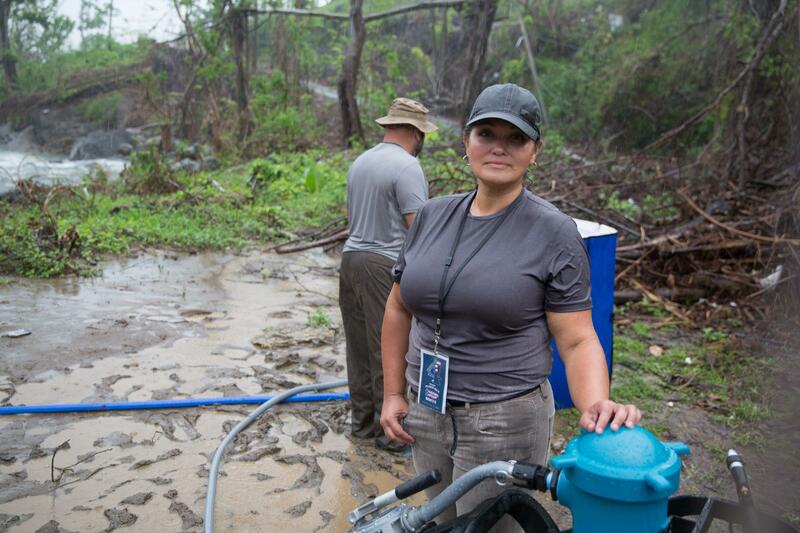 In addition to her work with the "water dogs," she's been delivering food and helping people across the island connect with family. Salinas residents wait in line for water. 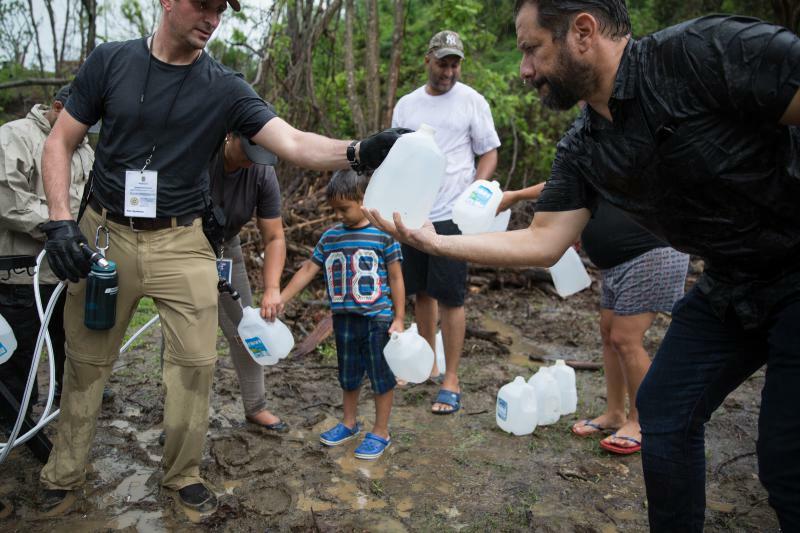 They haven't had much access to clean water since the hurricane hit the island weeks ago. 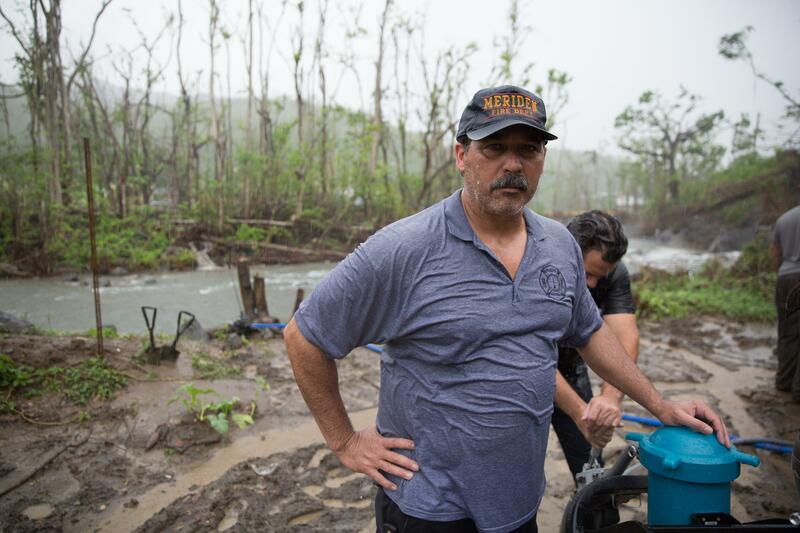 Danny Torres has worked for the fire department in Meriden, Connecticut for decades and has family across Puerto Rico. Residents of Salinas wait for the water to be filtered and purified. They line up with water jugs and buckets as the news of clean water spreads throughout the town by word of mouth. 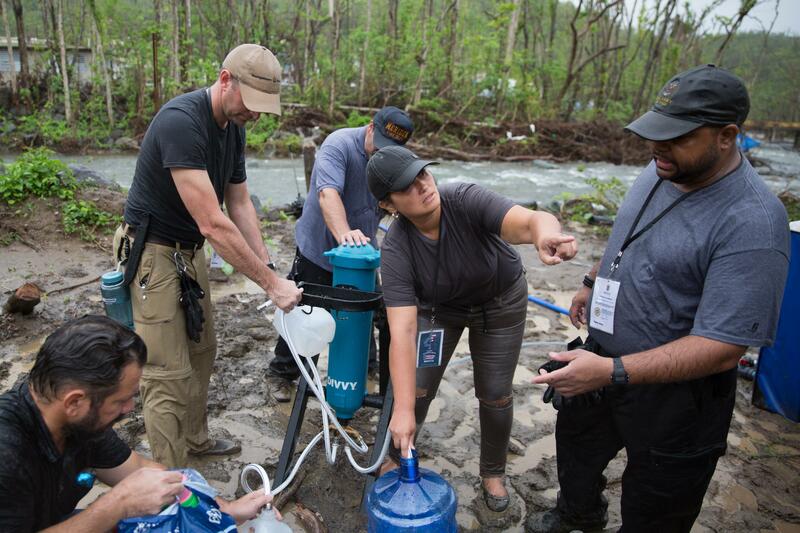 A team of Connecticut veterans and volunteers -- self-described as the Puerto Rican "water dogs" -- pumps water from a river in Salinas, Puerto Rico through a mobile filtration and purification system for residents there to drink. 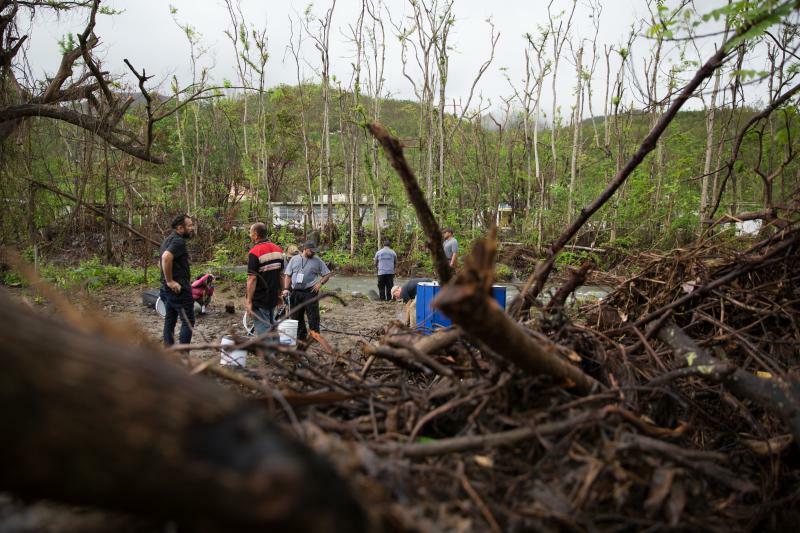 Police escorted a convoy of veterans and volunteers from San Juan past fallen homes and torn-up trees. As the team drove along, they stayed in touch with two-way radios. “Okay, we got horses on the left in the middle of the road,” said a voice on the radio. The convoy eventually stopped at a patch of mud next to a river in Salinas. In an instant, two men were ankle deep in the water setting a blue hose while others ran it to a 250-gallon portable tank sitting on the riverbank. Then Ray Guasp started pumping, back and forth, bringing the river water up. Once there, it got treated with chlorine, tested, and finally, pumped through a manual filter. The product is made by a Utah-based company named Aquamira, and the whole process takes about an hour. As he pumps, Guasp said he doesn’t like to watch people do things. He likes to do them. Guasp served in the Marines. But this week, he and his volunteer team aren’t on orders. They say they’re self-deployed Connecticut residents -- working with local emergency officials to target areas that need it most. They’ve raised money for equipment, paid their own way, and packed their own food. Some are veterans, some aren’t, but all wanted to help. 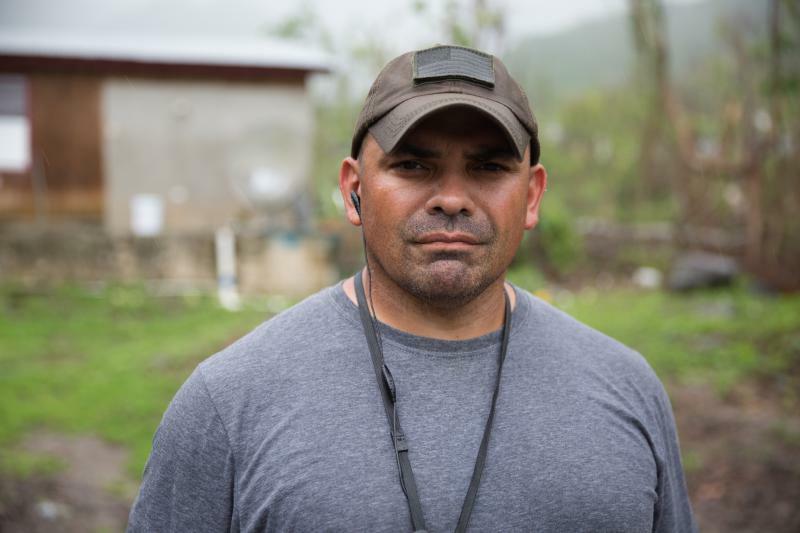 Guasp said he got his dad off the island five days after Hurricane Maria passed, but he has other family all over. “I have Dorado, I have Salinas, this town here -- my aunt lives in,” he said, listing off locations where his family lives. Angel Fernandez helped coordinate the trip. He’s retired Navy and considers Puerto Rico home. But this mission is clearly personal. With the river raging and the rain falling, the obvious problem isn’t water, but clean water. And this team stands by its product. Before they give it out, they drink it. 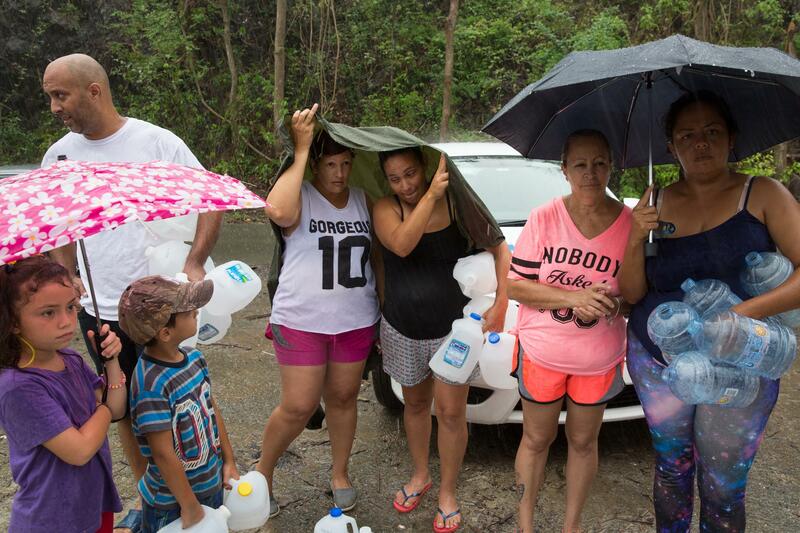 As they worked, people slowly came down in the rain to the river valley with empty containers – water jugs, bleach and detergent bottles, some five-gallon buckets. “I’m looking for water – to cook, to drink. 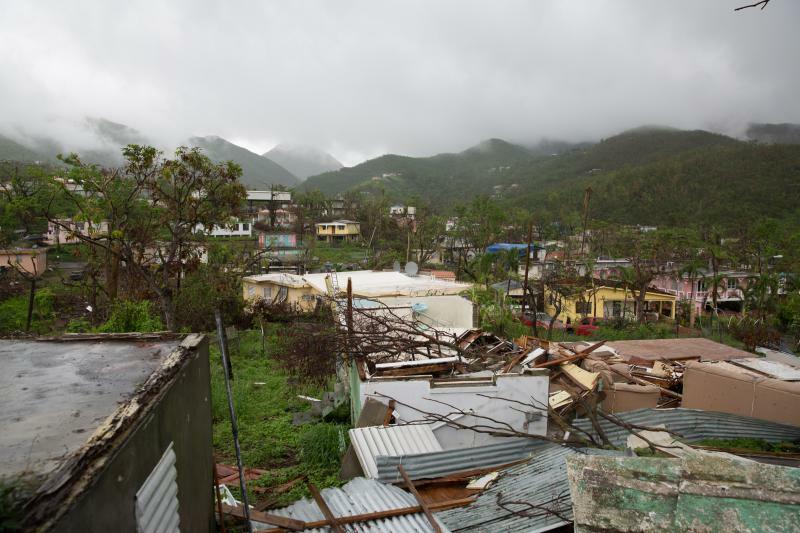 We don’t have nothing over here now,” said Joey Diaz, who came here with his wife and two kids. He was born in Puerto Rico and lived in Connecticut. Diaz said they’ve gotten some bottled water delivered from the government and they’ve got what they need to drink. But if they want to bathe or clean, they have to go to the river. As the first 250 gallons ran out, the team started pumping again. As it did, still more residents came to fill up their bottles. And even though 250 gallons at a time won’t solve an island’s water problems, it’s a lifeline for those who now have more to drink. 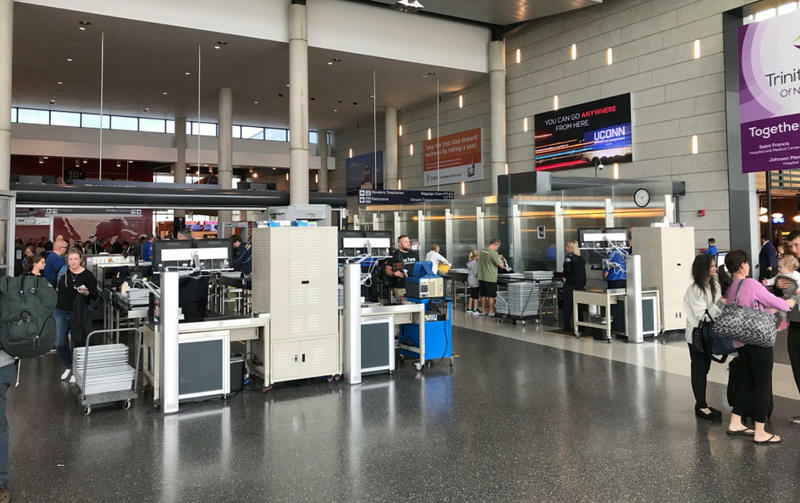 As direct flights from Puerto Rico to Connecticut are re-established, the state is ramping up its efforts to help people who may be relocating from the ravaged territory.